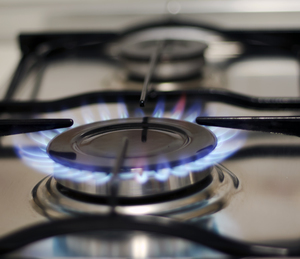 Big Six energy supplierNpower has been warned by Ofgem it may be forced to stop new sales, unless it addresses a number of customer service failures including sending bills out in time. The UK's energy regulator warned the firm it needed to start meeting monthly targets on late billing within the next three months, or also face Ofgem putting a stop to the firm conducting telesales to win new customers. Npower will have until the end of August to shave the number of households affected by late billing from 400,000 to around 100,000. Energy watchdog Ofgem is also investigating whether Npower has broken rules on customer service, with the energy giant facing a potential fine of anything up to £300m, or 10% of its sales, if found guilty. The billing error occurred back in September following a computer glitch during the transfer to a new system. Npower chief executive, Paul Massara, later penned a letter of apology to the firm's 3.4 million customers and the firm also made a £1m goodwill gesture to some of its most vulnerable customers. While progress has been made however, Ofgem is not happy with the speed of developments. Ofgem senior partner in charge of enforcement, Sarah Harrison, said: "We have been increasingly concerned about the slow progress to tackle failings. "Npower's recovery plan has not delivered as far and fast as is necessary. Our analysis of complaints data also raises some serious concerns, which will be thoroughly examined in our investigation." An NPower spokesman told Sky News the firm would get its act together quickly and resolve any outstanding issues. He said: "We are confident we can get there. We are completely committed to get this right. "Already we have resolved about half of the billing problems. There were other issues last year for which we apologise to our customers and Ofgem in its press release today say those are resolved. "We will finish the job on late billing by the end of August."